October 2014 – Human-iTech S.A.
Human Innovation Technologies S.A. was present at the HR Excellence Awards held for the second consecutive year by EIMAD and EEDE. In Human Innovation Technologies we are convinced that human capital must regain its role as the main factor of development, progress and prosperity. Events like HR Excellence Awards nudge companies to improve their HR operations and reward the good practices. 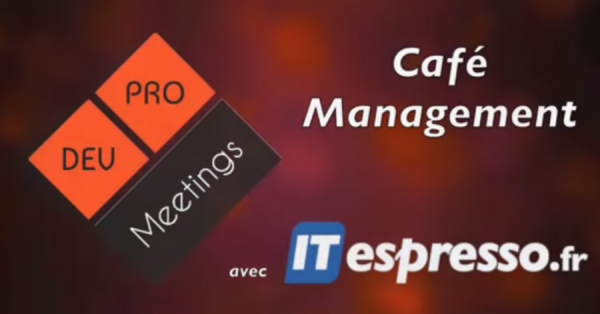 During DevPro congress, Dr Stelios Kouzeleas, Human-iTech’s Business Development Manager, was interviewed by ITespresso.fr, an acknowledged french website. He explained the potential applications of V-product family pointing out the importance of emplοyee’s on-the-job performance and the innovation of various levels of interactivity supported by Human-iTech’s solution. AEF Groupe presents Human iTech’s Virtual World Simulations. The French journalistic organization AEF Groupe includes in the latest issue of its online magazine an article about Human Innovation Technologies’ Virtual World Simulations. Human iTech proud to partner with HRMS Consulting. The team of Human Innovation Technologies S.A. is proud to partner with HRMS Consulting. HRMS Consulting specializes in Human Capital Management Business Process Consulting, Technology Implementation & Consulting and Technology Support. The company started business in Europe in 1995 and since 2002 expanded its presence to Asia and the USA. It is acknowledged and known as one of the few pure player in the HR and Technology consulting space. Human iTech, as HRMS’ solution partner,is now able to introduce our cutting-edge applications in the French and international market. 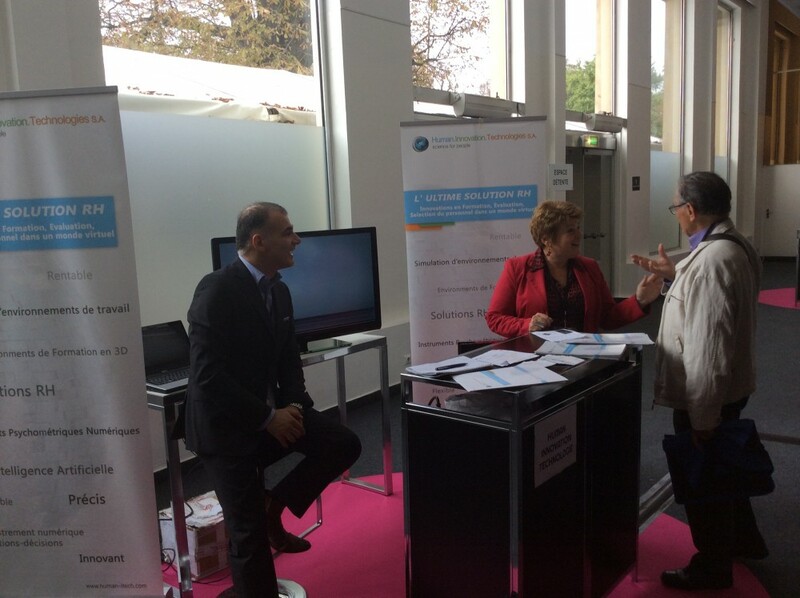 Greece innovates and excels also in the Development and Management of Human Resources, through innovative technological solutions presented by Human Innovation Technologies SA at the international exhibition HR Dev-Pro 2014 held in Paris on October 2nd. 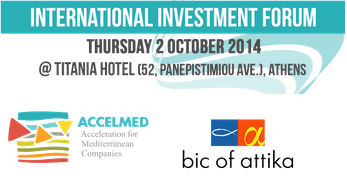 EU Business Innovation Centre of Attika (BIC of Attika) in the framework of the European Project “Acceleration for Mediterranean Companies – ACCELMED” of the MED Programme, held a Transnational Investment Forum on 2nd of October 2014, in Athens at Titania Hotel (Panepistimiou 52 , Athens 106 78).